Erin Hendricks is a passionate advocate and skilled negotiator. She represents clients on federal and state criminal charges. She works tirelessly to minimize her clients' exposure to unnecessary risks or unfair outcomes. Erin is a trial attorney with 15 years of courtroom experience. She identifies the most effective strategies for her clients' cases and enjoys achieving positive results on even the most difficult cases. Erin earned her Bachelor’s degree in Liberal Arts Honors from the University of Texas at Austin in 1999. She studied Spanish Linguistics as a major and earned a Business Foundations minor as an undergraduate. Erin graduated with her law degree from the Dedman School of Law at SMU, in Dallas, in May of 2002. 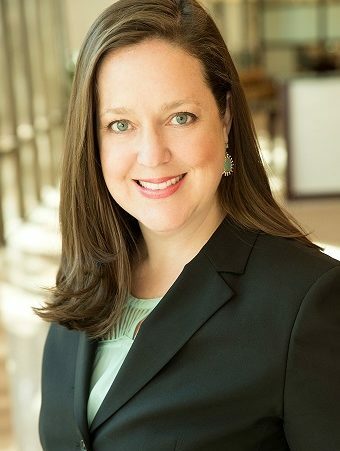 Erin was hired as a criminal prosecutor right out of law school, and she started her career as a criminal practitioner with the Dallas County District Attorney’s Office as a licensed attorney in the fall of 2002. Over an almost nine-year career as an assistant district attorney, Erin handled over one hundred twenty-five jury trials and disposed of more than five hundred felony cases. Her last assignment within the DA’s office was as a chief prosecutor heading up the Sexual Assault Unit of the felony trial bureau, a new initiative within the office at the time. Her leadership, innovation, and commitment to her cases are all components of the foundation of her criminal defense practice: Erin is a relentless advocate for her clients. Erin has trained other lawyers, judges, medical professionals, advocates and law enforcement in principles of law, courtroom procedure, best practices, and ethics. She is a member in good standing of the Dallas Bar Association, the Dallas County Criminal Defense Lawyers Association, and the Texas Criminal Defense Lawyers Association. Most recently, Erin served as the Chair of the criminal section of the Dallas Bar Association for 2017. She is also a Fellow of the Texas Bar Foundation. As a criminal defense practitioner, Erin has seen great success in achieving positive results and in minimizing her clients’ risk and exposure within the criminal justice system. She enjoys building relationships with clients and their families to provide support, counsel and advocacy from start to finish. Erin has been lauded by her peers for the past two years for her efficacy in the area of domestic violence cases. The Dallas County Criminal Defense Lawyers Association has awarded Erin for her work in this area of her criminal practice each year she’s been in private practice, from 2012 to 2017.